Collect the most beautiful moments of your wedding in a beautiful photo album. Our photo albums are much more than the result of our work. They are what will tell the story of the most special day of your life. Your photo album will bring the memories back and remind you and your guests the mixture emotions that were shared during your special day. 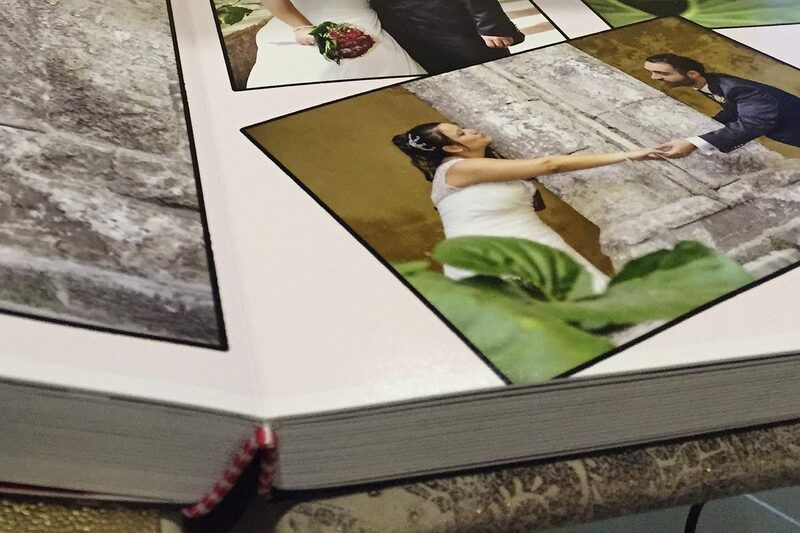 Our albums are also the perfect way to show those that could not make it how your wedding was from start to finish. How do we make your photo album? No two albums that we do are ever the same. They are completely handmade and each one is unique and personalised for each individual bride and groom. We use only the highest quality of photo paper to allow us to produce the best possible product! Want a photo album for your wedding?